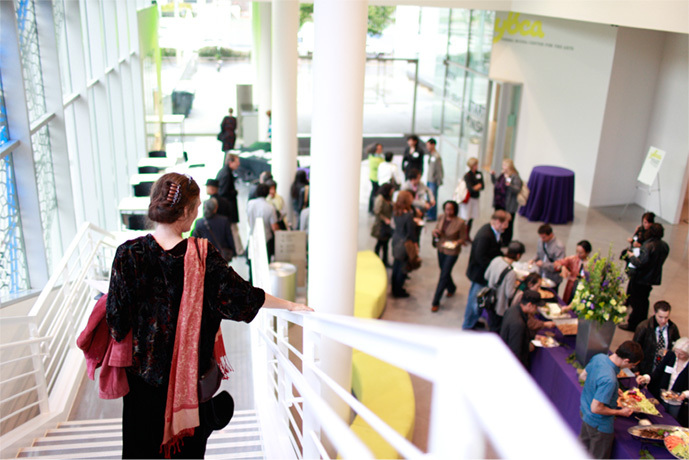 The Center for Cultural Innovation (CCI) was founded in 2001 as a California 501(c)3 nonprofit corporation. Its mission is to promote knowledge sharing, networking, and financial independence for individuals in the arts by providing business training, grants, and incubating innovative projects that create new program knowledge, tools and practices for artists in the field, and conditions that contribute to realizing financial self determination. CCI has shifted from helping artists realize financial sustainability to instead helping them realize financial self determination. By prioritizing self determination, CCI is attending to the needs of artists as a whole person and not just as producers of art. This requires CCI making a difference in the conditions of artists’ lives, which we are doing in common cause with other sectors that are also addressing shared issues of low wages, lack of worker protections, high debt, and few assets. CCI has expanded our reach to create opportunities for all. The Creativity Connects report called out the inequities that are built into conventional systems of arts support and highlighted the opportunity to support the diversity of cultural expressions in the U.S. This lens of opportunities-for-all prioritizes supporting those who have been traditionally marginalized so as to accelerate their impact in the arts and unfetter their contributions in society. Validating and serving the needs of artists, cultural producers, arts administrators and workers, artisans, makers, and creative entrepreneurs—in other words, individuals who comprise the larger creative workforce. Individuals are at the heart of the arts, and CCI is a conduit for resources and opportunities to flow directly to them rather than by trickling down through institutions. Acting as a bridge builder bringing together funders, artists, arts workers, researchers, field practitioners and other innovation partners across sectors on specific problem-solving projects. Many of CCI’s regranting, advocacy, funder collaborative, and research projects are incubated efforts to rise to the challenge of particular problems informed by our unique knowledge and set of principles. Generating new knowledge: We commission primary research that expands understanding of artists and their needs. Serving as a platform for change to improve support systems for those who have not been well served by conventional nonprofit funding and private lending or financing systems—individual artists and arts workers, junior-level professionals, and creative entrepreneurs, and community-based cultural anchors. Being a leader in the field articulating a vision for the value of supporting individuals in the arts, which is particularly timely in this moment of re-writing social contracts for increasingly contingent American workers. CCI operates with a vision that by linking the natural creativity and tolerance for risk of artists and creatives of all types to the latest professional practices and tools, new financial resources, and to one another, CCI helps artists and arts workers realize greater financial self determination, which unfetters their productivity and social impact. In addition, by acting as a cross-sector incubator with an informed point of view, CCI advances efforts to improve conditions for artists and all those who share artists’ conditions of low wage, high debt, and too-few assets. Knowledge is power. Financial independence begets creative self-determination. Partnerships lead to solutions. This is the Center for Cultural Innovation.